If you missed our GPS Workshop in March, you still have time to sign up for our next workshop in April. We are conducting another GPS Workshop on Saturday, April 27 from 9 am to 12 pm. Geocaching is a great sport for friends and families. 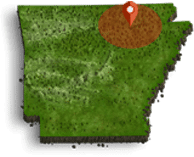 Experience the outdoors with family and friends searching for caches at Arkansas State Parks. We plan to cover the basics of using a GPS unit, locating hidden caches and creating your own caches. We have contests on locating caches in the park and award prizes to the winners. Participants in the workshop receive a gift item to take home. The workshop is meeting at the Jacksonport Courthouse. The workshop fee is $20 per person and for ages 10 to adults. You bring your own GPS unit or the park provides a unit for you to use. Reservations must be made two days in advance before the workshop date. For reservations and more information contact the park interpreter at Jacksonport State Park, 205 Avenue Street, Newport, Arkansas, 72112 or telephone: (870) 523-2143. Email: donna.bentley@arkansas.gov. This event has limited accessibility for visitors with disabilities.